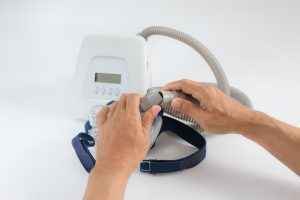 How Often Should I Replace my CPAP Headgear? 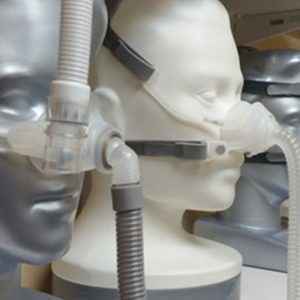 The headgear is a vital part of your CPAP machine. If it gets worn down, you might find that the machine no longer works as well to relieve the symptoms of your sleep apnea. It’s important to replace the headgear promptly to keep the unit working properly. Replacing important components is just as vital to the operation of the machine as other maintenance tasks like cleaning the unit and tubing. Most CPAP machine manufacturers recommend replacing the headgear every six months. This ensures that the headgear stays functional and effective. While you can continue using the headgear after the six-month mark, the unit is likely to provide less relief. How often you replace these parts and pieces can also depend on your insurance plan and what expenses they will cover. Patients on Medicare can have the CPAP headgear replaced as frequently as every six months, but other insurance providers may limit how often you replace this piece. In these cases, you can still replace the headgear every six months, but the insurance company may not reimburse you for the expense. Still, paying this cost out of pocket might be worthwhile to keep your CPAP machine working properly. How Often Should I Replace CPAP Chinstrap? How often you use the chin strap. If you use the strap nightly, it will wear out faster than one that is only worn occasionally. How active are you during sleep? If you turn and change positions often, this can pull on the chinstrap and stretch on the elastic, requiring you to replace it sooner than someone that sleeps calmly. The position you sleep in most of the time. Sleeping on your back can put more tension on the chin strap while sleeping on your side can help the mask stay on without putting stress on the strap. Even if the chinstrap is not showing signs of wear yet, replacing every six months is good practice and will help you avoid the sleepless nights that come when your chin strap does wear out. The tubing is a vital part of the CPAP machine that needs to stay in good condition to keep the machine working at optimal power. Kinks in the tubing or worn out spots can allow the pressurized air to leak out before it gets to your face mask. The result is that you only get a portion of the pressure, which may not be enough to keep your airway from closing as you sleep. 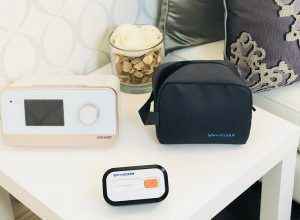 The CPAP machine is still working at full power, but you feel less pressure coming through, which can leave you bewildered as to what the cause of the issue is. Since the tubing is so central to the proper operation of the unit, it needs to be replaced more often than other components. Most CPAP machine tubing should be replaced every three months to keep the unit working properly. Prompt replacement will also help to ensure that mold and bacteria do not have a chance to grow and spread inside the tubing. The filters within the CPAP unit act as a first defense against the allergens and dirt that can end up in the air. To keep doing their job properly, these filters must be changed often. As more dirt and contaminants get stuck to the filter, there is less room for the filter to catch more contaminants that may pass through. So they are allowed to go through into the air supply. A high presence of these elements in your home makes them more likely to end up in the indoor air supply and even in your CPAP machine. Most CPAP users change the filter in the machine once a month. This is often enough to make sure the machine always has a clean filter, but not so often that you end up wasting filters. Depending on how often you use the machine and how many external allergens might be present in the machine, you may choose to change the filter more or less often.